Next I wanted coffee and decided to hoof it uphill to the Beacon Coffee & Pantry, passing along through some parts of town that evoked a bit of the old city – I want to go back just to spend an evening hanging out at La Rocca’s Corner. La Rocca’s Corner at the intersection of Columbus and Taylor. Up at Beacon Coffee & Pantry I spent an hour or so drinking some great coffee and fiddling around on my phone trying to track down an ice cream parlor that the girlfriend of a work colleague had urged me to try. I spent a lot of time trying to find that stupid place by using Google Maps and Yelp and I ended up giving up because the city is FULL of ice cream parlors. They even have an ice cream museum! Giving up on my digital quest I decided to just catch a cable car and ride it somewhere – anywhere. I hustled with my luggage down the hill and clambered up into the thing like a fish floundering onto a beach. One of the guys manning the cable car aimed me into a seat inside a glassed in section and I started to just enjoy the ride up the hill. 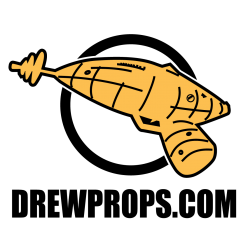 We rumbled along at a pretty fast clip! I rode the car uphill until it felt like time to hop off, and in a moment of pure kismet I found myself standing on a sidewalk staring at the Cable Car Museum. The brakeman pointed to it at as if he had intentionally brought me there. Welcome to the Cable Car Museum! Unless you have become educated on the mechanics of cable cars you probably think they run on electricity, like I did. The truth is, there are no overhead electric lines – cable cars are propelled along their routes using insanely long runs of cables that travel in an endless loop beneath the very streets of the city, powered by giant motors at the top of the hill. The cable cars grab hold of those cables and are pulled uphill by the cable, courtesy of a guy person with a giant lever inside each cable car. These operators also use the cables to brake the vehicles as they travel downhill. 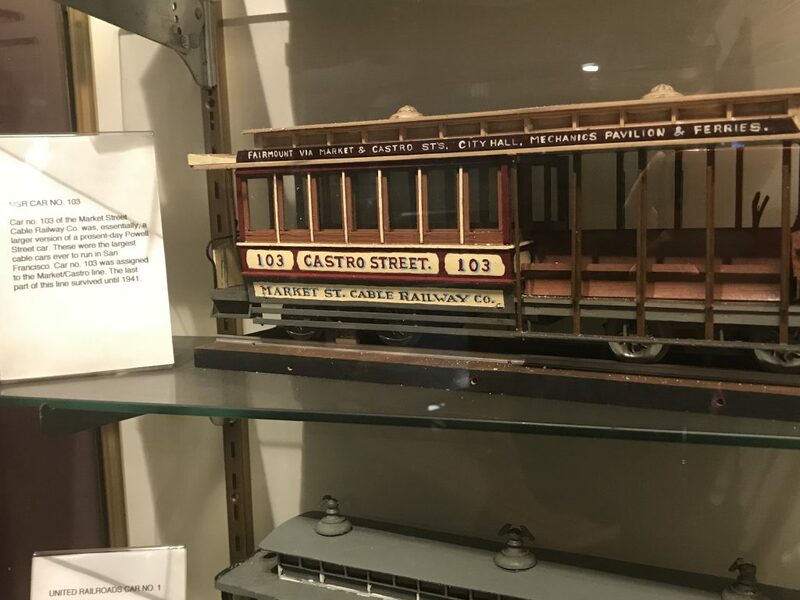 Scale model of the Castro Street cable car that lasted until 1941. Later in the day was when I first began to truly appreciate this insane method of travel from a bygone era – I was standing at an intersection along one of the cable car runs and there was this incredible singing sound coming from the street itself, the sound of a thick metal cable sailing along beneath our feet, held in line and course by endless pulleys. This absolutely remarkable system comes to life when you are standing inside the cable car museum, watching giant spinning wheels bring the cables up out of the ground to sail across the building before diving underground once again. You can see all of this from the safety of the museum area, overlooking the cableyard (or whatever they call it). Here’s a video I made of my visit. 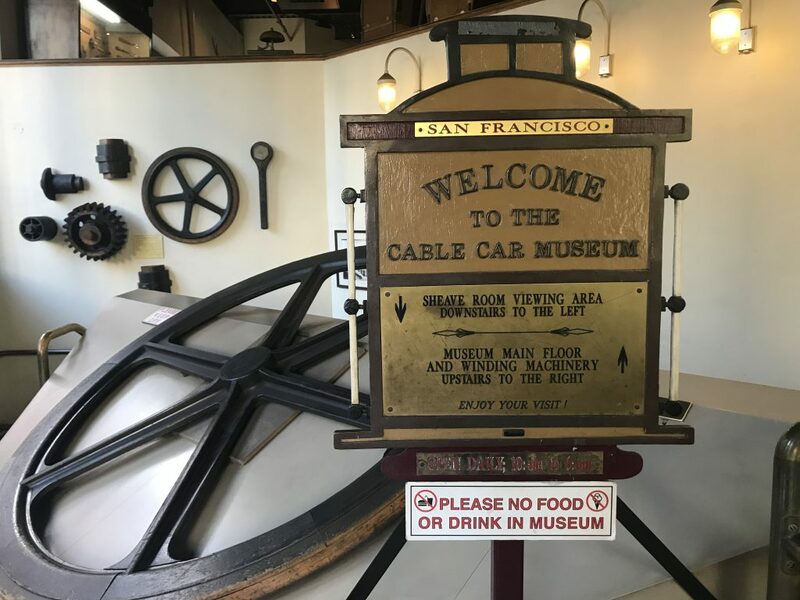 The museum features plenty of cable car artifacts and photographs and facts and figures and San Francisco items, and the gift shop has lots of neat items at a reasonable price. I’m so glad that Fate takes me on these kind of unexpected adventures. Oh, did I mention that the Cable Car Museum is FREE??? To satisfy my fondness for Chinese food I decided to wrap up my last day by heading downhill to the east into Chinatown. My first stop there was to track down a fortune cookie “factory” called Golden Gate Fortune Cookies. It was just a little shop with a lady sitting at a stool turning a crank on a gizmo that pinched little flat circles of cookie dough into the shape we all recognize. I was surprised that they offered “adult” fortune cookies so I bought a bag to bring home. 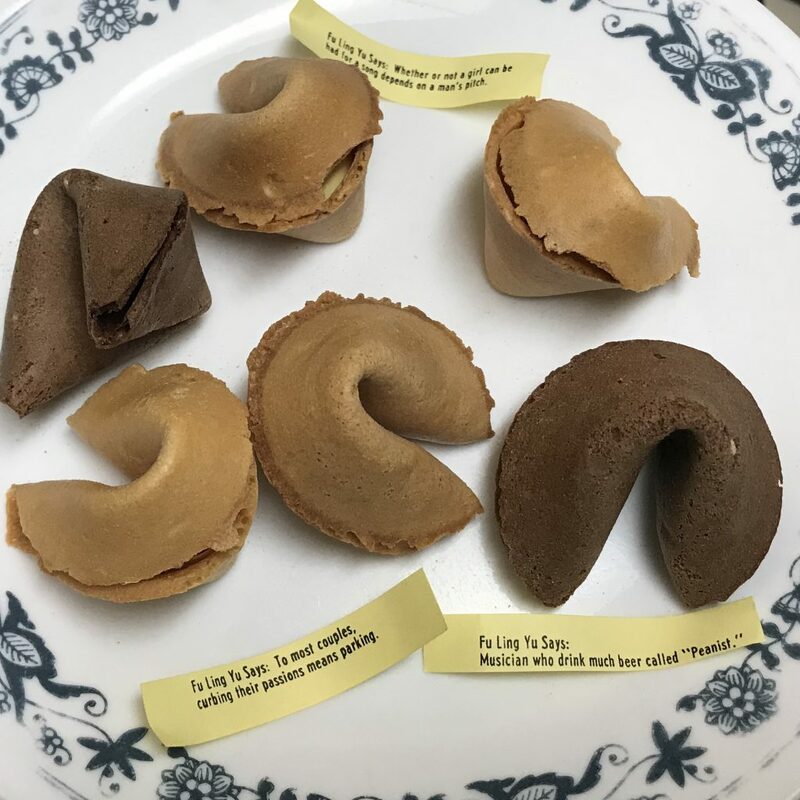 Adult fortune cookies on a china plate. I was concerned that the “adult” fortune cookies might be too risqué but I shouldn’t have been – the jokes were really corny, definitely from a different era – a conservative form of comedy. Fu Ling Yu Says: Musician who drink much beer called “Peanist”. Fu Ling Yu Says: Whether or not a girl can be had for a song depends on a man’s pitch. After buying the cookies I ambled farther into Chinatown (pulling my small rolling luggage behind me and a backpack slung over my shoulder) to track down a restaurant named Z&Y Restaurant – the reviews on Yelp made it sound decent enough. As I walked down a hill I passed shop after shop that held mysteries I will never solve, but I’d have loved to have gone into each of them and spent some time exploring, especially a fruit stand I passed. The fruit stand spilled out onto the sidewalk, awash in a perfume of freshness that I have NEVER smelled in any supermarket. It was one of those moments that really smacks you in the head and asks you if you have been living in a simulation up until this point in time. I stayed on course for the restaurant and pulled up outside the door to the place a few minutes later and began to study the menu, trying to decide what would be safe for me to eat – I didn’t want to summon the ghost of my long lost gallbladder right before heading to the airport (unexpectedly intense restroom breaks are the worst when you’re traveling) so I was looking for some tame dinner fare. In the window of the restaurant were photos of celebrities that had dined at the restaurant at some point in the past. Featured prominently were oversized shots of Tim Cook and of President Obama (separate photos, from different times). As I continued to study the menu I overheard a couple of white dudes who had just stepped out of the place – they were discussing politics!! One of them was casually pro-Trump and the other clearly believed his dinner companion to have been issued a defective brain. I neatly avoided entering that minefield by heading into the restaurant, noting along the way that the pro-Trump guy was Canadian (no monolithic culture, the Canadians). Once inside the door I was informed that the big dim sum lunchtime special was over, as apparently was the lunchtime rush. I nearly had the place to myself, so I piled my stuff in a chair and against a column and ordered some hot & sour soup, a chicken dish, and some hot tea. I watched Netflix on my phone as I ate lunch, then toward the end of my meal I began planning my walk back up the hill to catch a bus using the passport I’d purchased earlier in the day. I knew my time was running out but I really wanted one more San Francisco experience and was in a mood to treat myself. Instead of tracking down another coffee shop I decided to head toward a place called Asha Tea House, not far from where I would catch BART back to the airport. So I trudged two blocks back up the hill (past another amazing smelling fresh fruit stand) and found the bus stop. This thing was like something from China itself, because every time a new bus pulled up (which was nearly every minute) a giant group of people would swarm up inside, packing themselves like sardines. I’ll bet my mouth hung open the first few times I watched. One bus driver was loudly shouting “Don’t block the doors! Get out of the doors!” and I watched as old men who were surely in their late 80s just rolled their eyes and pushed harder into the bus. They were going home, dammit. I didn’t work up the nerve to board a bus until the 4th or 5th arrival. I just surged onboard like everybody else and pretended it was something I did every day. This is how I think we should travel. Blend in, copy everybody else. Pay attention, do it the way they have perfected. Due to my general inexperience with San Francisco’s public transportation and a specific lack of faith in the accuracy of the bus route app I had consulted before mounting that clown car of a bus, I ended up getting off one stop farther down the road than I had intended. That ride may have been one of the most exhilerating things I did on that entire trip. The sunset ferry ride to Tiburon had been beautiful, but that bus ride was insane! My navigational error provided me with the opportunity to walk east, back along the southern boundary of Union Square, which is a shopping district with plenty of high end brands like Chanel and Louis Vuitton and Neiman Marcus and Dolce & Gabbana and Christian Louboutin. I really like hats and wish that I’d had time to stop and look around at Goorin Bros. Hat Shop, but just kept trucking. At one point I saw a young homeless dude who was probably on drugs menacing an older man who may have also been homeless. Emboldened by my Chinatown bus experience I decided to ignore the dipshit entirely. As our group waited for the light in the crosswalk to change I turned on my “I’m probably insane and dangerous” body language and casually leaned into that dude’s personal space and he immediately eased away from me. That was really childish of me. I closed in on the tea house and walked in at just the right time, because the queue line set up outside the place was empty. In five minutes I had myself a matcha latte, described as “a cup of whole milk topped with a layer of hand-whisked matcha”. As I sit here at home sipping on some green tea (which I like) I am trying to convince myself that my big cup full of macha latte wasn’t perversely nasty – that it was hearty and enriching. No matter, I had a train to catch and I nursed that matcha latte all the way to SFO before depositing the mostly full cup in a trash can on the way into the airport. For the record, I would go back to that tea shop and try some other stuff, possibly including another matcha latte, so this isn’t a bad review or anything, just an account of my trip. Great town. Lots of ice cream parlors. Lots of good coffee. 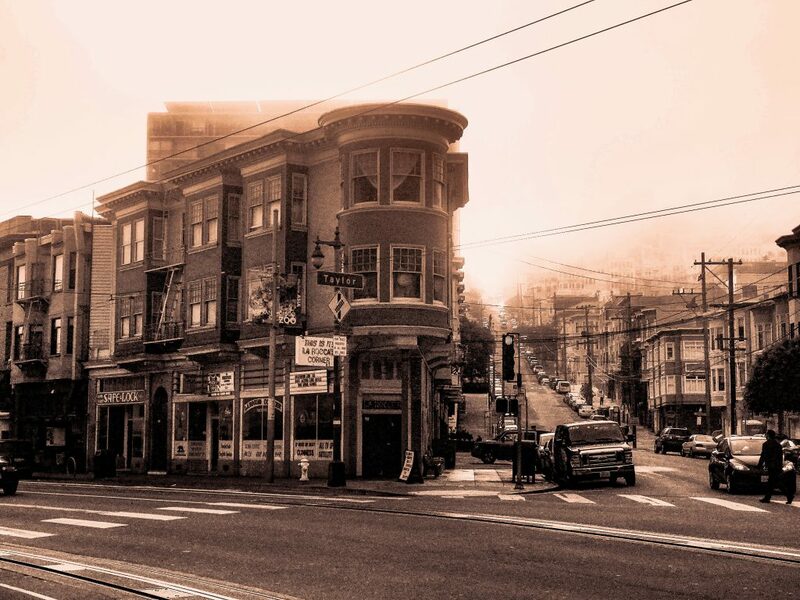 Get away from Fisherman’s Wharf as soon as you can. Buy a bus/trolley pass and use it. Go to the cable car museum! The next time I go I plan to see at least 5 new (to me) museums and eat at another couple of new (to me) Chinese restaurants.